VoiceFoundry is uniquely focused on helping businesses improve customer engagement while maximizing the benefits of the cloud. We work across a wide variety of industries, creating solutions that drive interactive experiences which increase customer satisfaction and loyalty and deliver real business value. It’s our passion. Combine the right mix of technology solutions to increase agent productivity and customer satisfaction. Utilize our data-driven method of improving the IVR experience to solve real business problems and delight your customers. Boost customer interaction opportunities with contextual data. Design and deliver easy to use, advanced and integrated interactive voice applications. Reduce costs, make agents more effective and improve customer experience in real time. Solve complex cases in minutes. Ensure effective planning, scheduling and contact center resource management. VoiceFoundry delivers a full array of Contact Center services from consultation, design and development through installation and implementation. 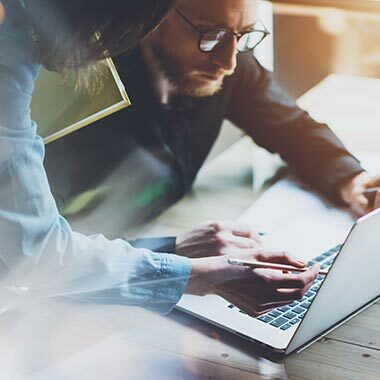 Our fully trained team of experts are available to offer solutions for all significant technology components in the enterprise contact center industry. We tailor our offerings to your business so that you can manage customer interactions efficiently and effectively. From developing highly customized IVR applications to combining off-the shelf solutions, VoiceFoundry is ready to help deliver exceptional voice experiences for any enterprise level operation. We are experienced in implementing IVR solutions in a variety of verticals including government, healthcare, utilities and banking and offer cloud, on-premise and hybrid deployments. We can quickly integrate our IVR solution into your contact center to deliver better service and enhance your customer experience. Enhance the value of every customer interaction with our User Experience Design expertise. 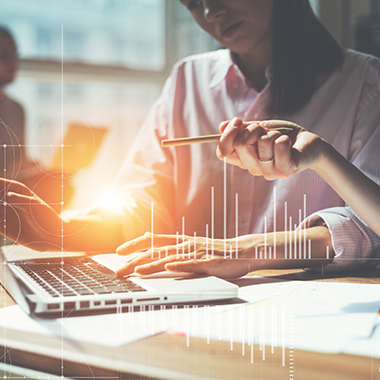 Our data-driven approach to evaluating the operation of your contact center leads to increased call productivity, decreased opt-outs and operating costs and an overall improved customer satisfaction rate. VoiceFoundry uses a tried and true method of Discovery, Design and Deployment to thoroughly evaluate and enrich the overall customer experience. VoiceFoundry uses AI & Natural Language in agent and self-service customer transactions, taking advantage of the cognitive services and proven AWS products like Alexa and Lex. Reducing costs, making service agents more effective and thereby improving the customer experience with a more conversational approach to self-service, are all results of our effective use of this technology. Customers are able to quickly present and find resolution to common issues traditionally not handled by legacy IVR systems. VoiceFoundry’s CRM & CTI integration solution works with the contact center platform to send a customer contact and its attached data, such as an account number, to the agent best equipped to handle the inquiry. Agents view screen pops and are able to complete business quickly without asking the caller to repeat information they’ve already been asked for. Pertinent customer data and historic interaction data from all channels can be viewed simultaneously for easy access to all of the material the agent needs to optimize each caller’s experience. Effectively manage your omnichannel Contact Center with the tools provided by a VoiceFoundry Workforce Management solution. 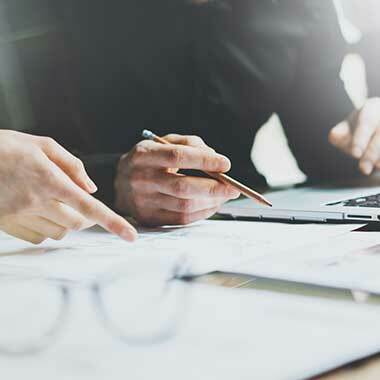 Businesses gain a better understanding of workload distribution for forecasting and scheduling as well as an awareness of overall agent efficiency. 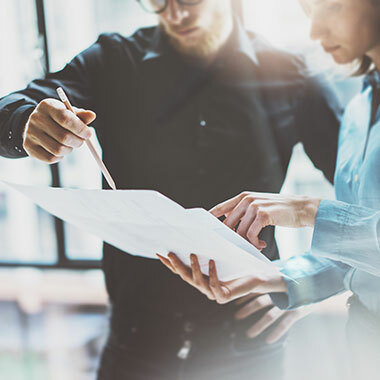 Quality monitoring and automated analytics allow each customer interaction to be evaluated by the agent and supervisor and provide a complete view for performance management. 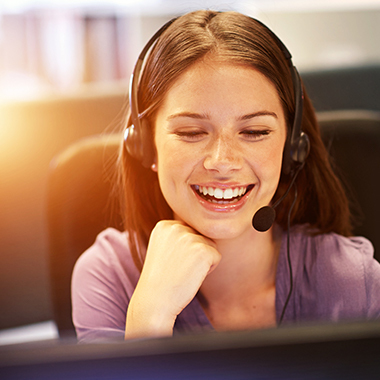 Do you have a plan to migrate your Contact Center to the Cloud? Are you ready for the challenges? We’ll help you uncover the best path! 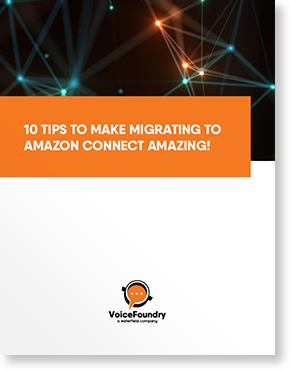 Sign up here for your FREE White Paper: 10 Tips on Migrating to Amazon Connect.